GLIDE - ACTIVE：rev and ride it! A new original brand that releases custom parts for Harleys. 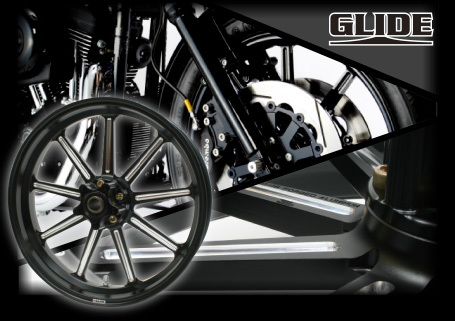 Includes forged aluminum wheels for the Sportster and Dyna.